TICKET SALES CLOSED. Thank you to all who purchased tickets. We look forward to a wonderful evening with Mr. Payne. A parent’s journey is filled with both precious moments and difficult situations. Our sense of how we are doing is often determined by the way in which we respond to the flashpoints of parenting. These moments will either refine or consume us. Depending on the format chosen, following these presentations we may have a chance to discuss and reflect on our own experiences and how what we have heard may find a place in further building healthy relationships within our families and schools. A consultant and trainer to 250 U.S. independent and public schools and school districts, Kim John Payne, M.Ed., has been a school and family counselor for more than thirty years. He has also consulted for clinics, training centers, and educational associations in South Africa, Hungary, Israel, Russia, Ireland, Switzerland, Germany, Australia, the United Kingdom, and Canada. He has served as the project director of the Collaborative Counseling Program at Antioch University and the co-director of an extensive research program on a drug-free approach to attention-priority issues. 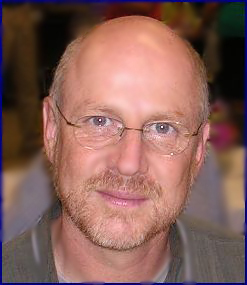 He is the director of the Simplicity Parenting Project and the Center for Social Sustainability and has worked extensively with the American and U.K. Waldorf movements. The author of Games Children Play, Simplicity Parenting, and Beyond Winning, he lives with his wife and two children in Northampton, Massachusetts. For more info on Kim John Payne and Simplicity Parenting, click here. $15 for one ticket, $25 for two tickets, or pay what you can. To purchase tickets, click here. Our eighth grade students will be providing childcare during the meeting for students in kindergarten and up. A $10 donation is requested per child. To reserve your spot, click here.